Vancouver Auto Body Shop – Main St.
At Grandcity Autobody, located in Vancouver, BC, we understand that accidents and vehicle repairs can be stressful. That’s why we stand behind our work and offer a lifetime guarantee on our repairs. We want our customers to know they are taken care of from start to finish and that the work we do exceeds industry standards. 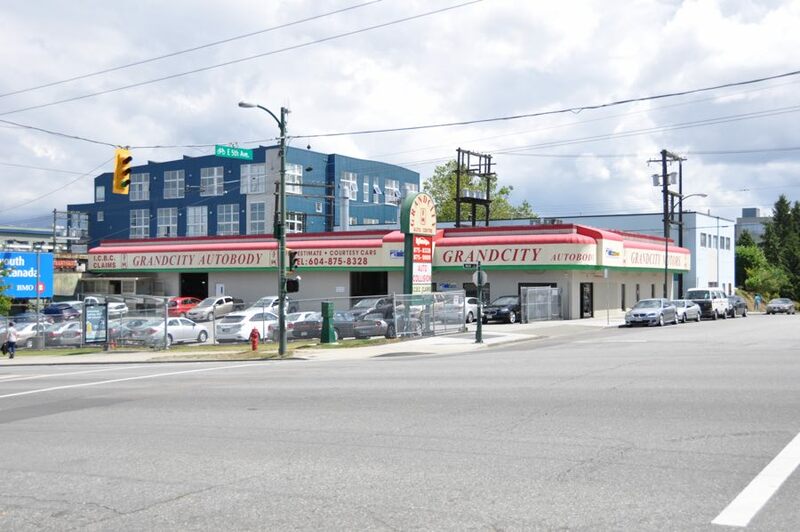 Grandcity Autobody is located at 2088 Main Street, Vancouver, BC. People travel from all over Metro Vancouver to our full-service repair shop in this historic neighbourhood. Our state-of-the-art, 10,000 sq ft. Vancouver autobody facility includes some of the most advanced autobody collision repair equipment available. And because we believe in keeping Vancouver one of the greenest cities in the world, we are strictly committed to environmentally responsible work. Even with its ups and downs, Vancouver is a tough city to beat. The vibrant community creates a rich cultural fabric—in fact, 52% of the city’s residents have a first language other than English. Vancouver often ranks in the top five cities in the world for livability, and where else can you go where you can go skiing in the afternoon and jump into the ocean in the evening? Vancouver has gone through many changes over the years but forestry, film and tourism keep the city ever expanding and interesting, to say the least. At Grandcity Autobody we don’t simply try to achieve industry standards, we set our own. We truly care about the wellbeing of our customers and from the moment you walk in the front door, our experienced staff will take exceptional care of both you and your vehicle – satisfaction guaranteed!